The summer rebuilding saw new faces Lawson, Vigurs, Nielsen, Anier, and McManus join up with the returning pair of Sutton and McFadden. Our Europa League opponents were FC Kuban from the southern city of Krasnodar. It transpired that they were well financed debutants in the competition and any dreams of progress that we may have entertained were snuffed out when they beat us 2-0 at Fir Park on 1 August. Around fifty supporters made their way to the second leg where a 1-0 defeat followed. McHugh missed a late penalty and we still await the first European goal under McCall's stewardship. The formalities were complete when Kuban won the return . 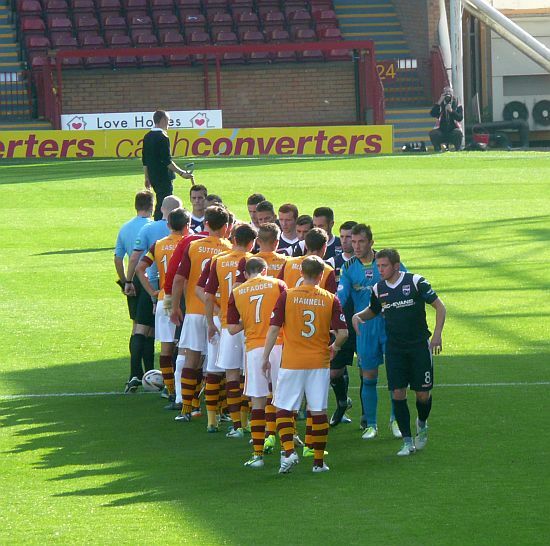 The league began with a win at Easter Road before the first of several significant clashes with Aberdeen. Anier gave us an early lead but we lost 1-3. Another defeat followed at Inverness and it seemed that the new team was taking time to gel. A six game run of five wins and a draw restored our confidence and our fine record against teams that were to finish in the bottom six started to build. We had one cup success in the whole season and that came when Faddy’s goal delivered a 2-1 win at Livingston in the League Cup. Our first big disappointment came in the next round when we failed to deal with the ten men of Aberdeen. Sutton had the ball in the net early on but it was ruled out by the officials in error. Despite lots of pressure we failed to score and conceded two in the last ten minutes. Worse was to come in the Scottish Cup. We faced the rabbits of Albion Rovers at New Douglas Park and after a feckless display lost to a late breakaway. It was a new low and the first victory for the wee Rovers over their Lanarkshire neighbours. As the winter gloom took over we were outclassed by Dundee United (4-0) and by Celtic (5-0) yet we had managed to stay in the top half of the table throughout. A six game winning run then established us as firm favourites for a top three finish. Highlights included a 5-1 win at Firhill (on McCall’s third anniversary at the club) and a 4-0 win over St Johnstone on Ne’erday. That spell included a five game appearance from Dan Twardzik on emergency loan from Dundee. Regulars ‘keepers Hollis and Nielsen were injured and the youngster’s assistance in what turned out to be a crucial period in a successful season cannot e underestimated. John Sutton had seamlessly taken the goal scoring mantle from Michael Higdon. Anier and then Ainsworth contributed too and McHugh added a couple before moving to Queen of the South on loan. 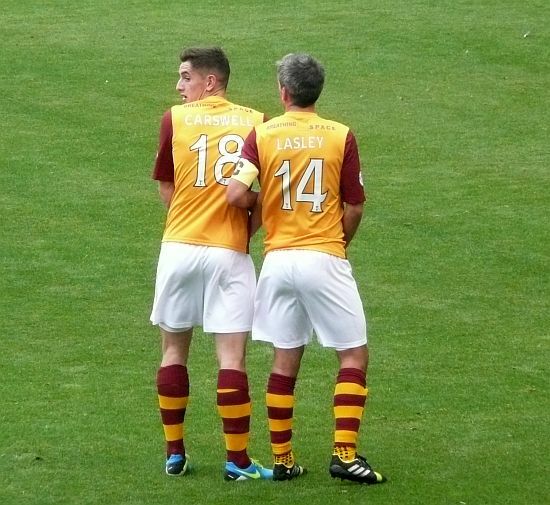 Lasley, in his testimonial season, commanded our midfield and led by example. Off the field the Well Society AGM came with an agreement to change membership schemes. The need for an emergency cash float to smooth out financial dips was again made obvious due to our poor form in the cups.